Updating your home has never been so easy. You choose the style that is just right for you. New construction or remodeling an existing structure is never a problem. 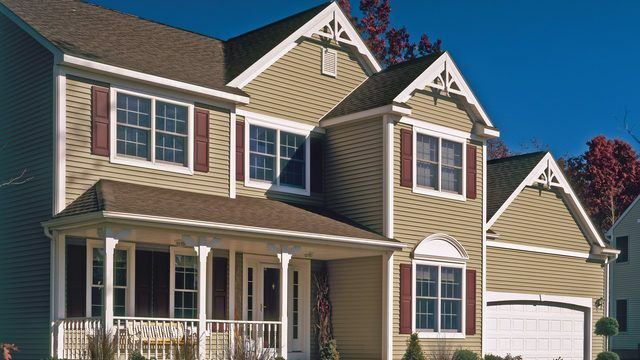 Today’s siding comes in a wide variety of styles, trim, colors, and textures. Adding vinyl soffit and fascia to your eaves and also seamless aluminum gutters will dramatically improve the beauty and appearance of an all brick home. In Central Texas, the “real weather beater” is vinyl siding. Vinyl does not rot, peel, or show scratches. the best part is that you never have to paint again. Simply wash it down with soap and water once a year, and it looks like new! We use Mastic and CertainTeed products, because they are the most trusted names in the business. According to many experts, “re-siding a home is among the top ten remodeling projects in the terms of overall payback. We offer a wide variety of colors to meet your individual taste and style. A real peace of mind comes from knowing that Quality Builders Ltd., stands behind our workmanship, and uses only the finest building materials available.